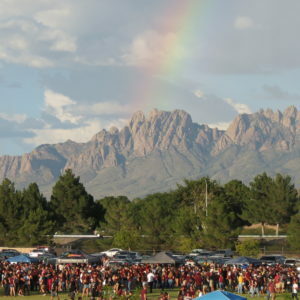 The tailgating outside the stadium gathers in hoards with the mountains rising beside. 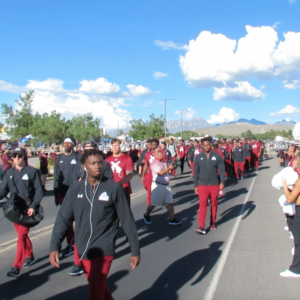 The teamwalk trails through tailgating areas led by fans, band, cheerleaders, and mascot Pistol Pete. 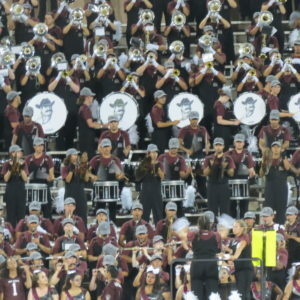 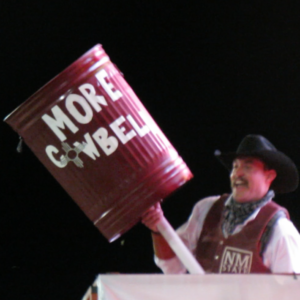 This mascot is outfitted in traditional cowboy gear slinging his pistols and stoking energy all around him. 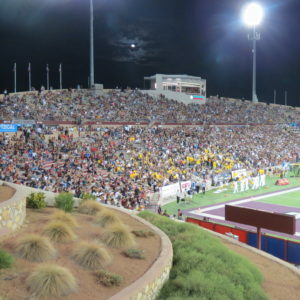 Among the mountain backdrop rests a large white “A” nearly the size of a football field. 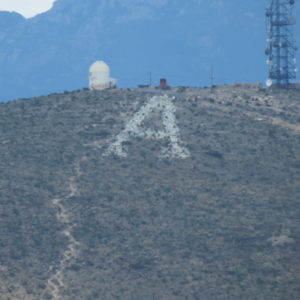 This “A” on Tortugas Mountain signifies Aggie pride and is visible throughout campus. 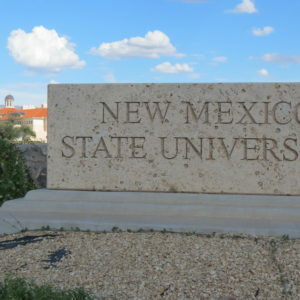 The school’s agricultural roots inspired the giant letter, and it has become an icon in Las Cruces. 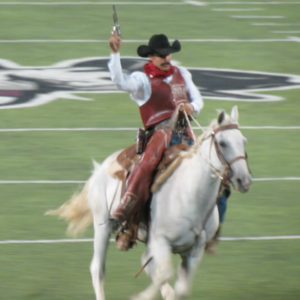 Inside the stadium, the team charges out led by Keystone, a live horse ridden by Pistol Pete. 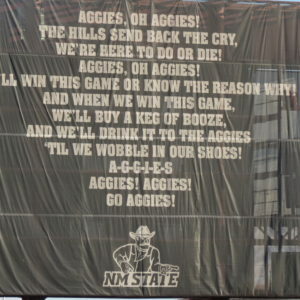 Cowbells clanging, the crowd gets amped with this scene. 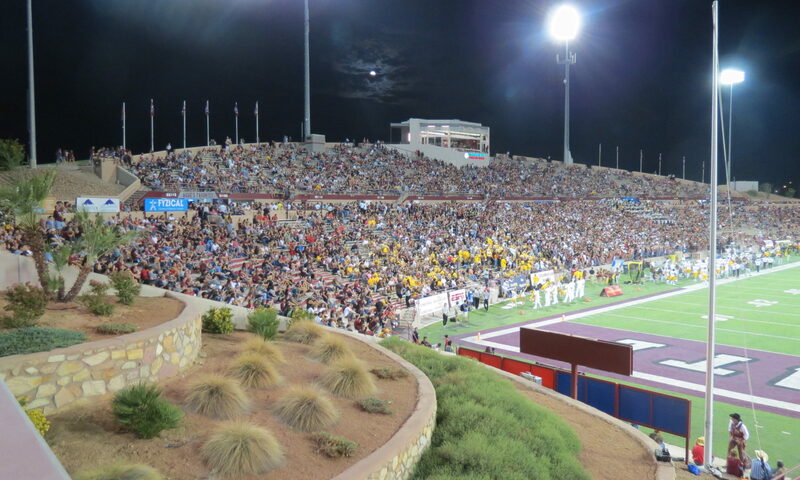 Adding to the crowd noise is the reaction to Striking the Wonder Dog. 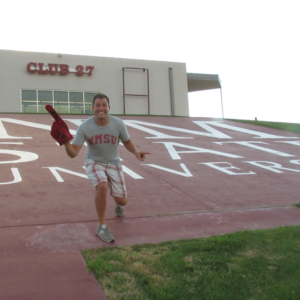 This loyal pup runs out onto the field and retrieves the tee whenever the Aggies kickoff. 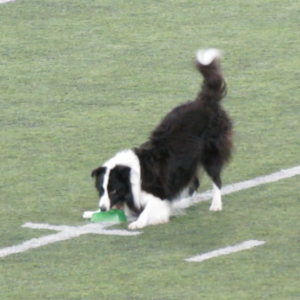 He often retrieves about as many cheers as the football team. 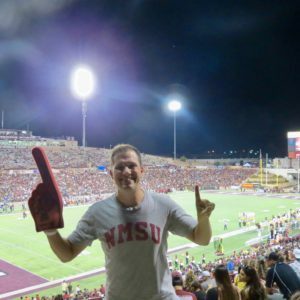 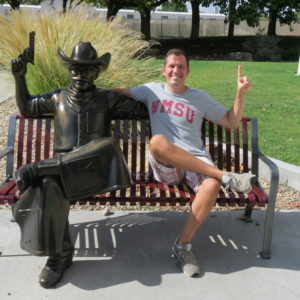 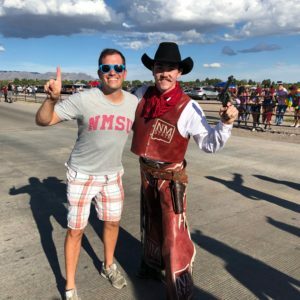 New Mexico State is off the beaten path from the college football elites, but doesn’t fall short in tradition and passion. 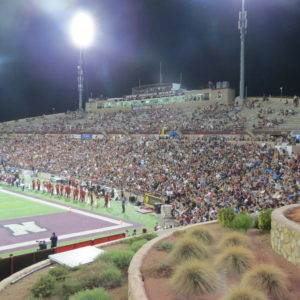 Coupled with the scenic setting, Las Cruces is worth the visit.